We look at how the Wix drag-and-drop editor works and explore if it is indeed as easy to use as advertised. Building a website with a do-it-yourself website builder is certainly cheaper than hiring a designer to build your online vision for you. However, is it actually viable for someone who isn’t a computer expert to successfully build a website with a DIY drag-and-drop editor? The short answer is yes, absolutely. Wix , the top ranked choice on our list of the best website builders, caters to beginners, walking them through every step of the process. For those who need more convincing that it really is easy, read on for a detailed explanation of the functionality of the Wix editor. 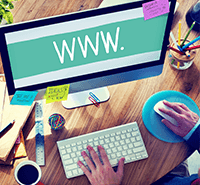 When building your website with Wix, you do not have to start from scratch. 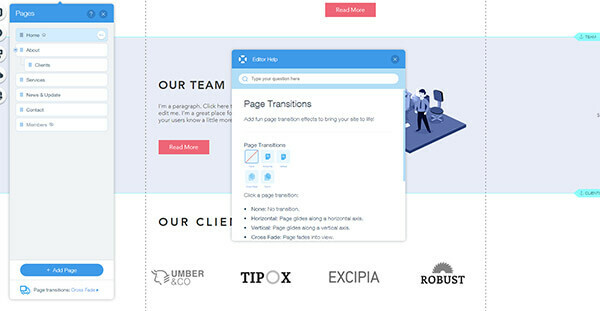 Wix has hundreds of templates, corresponding to different types of websites that you then merely edit and personalize with the drag-and-drop editor. If you think of your website as a home, Wix already has hundreds of different model homes constructed. You’re just responsible for rearranging the furniture inside as you see fit. 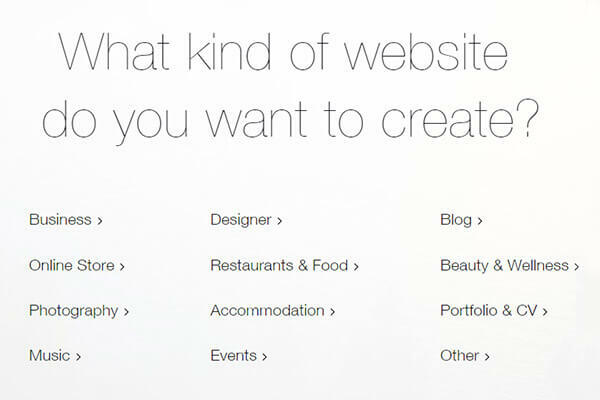 In order to choose the most appropriate template, answer Wix’s prompts about what kind of website you are building. Once you make this selection, the categories are broken down further into subcategories to better pinpoint the right template for you. For example, if you select blogs from the above list, you will be able to further specify, which type of blog you plan to have. To give an example of the variety that Wix offers, there are 36 blog categories to choose from, and more than 130 business categories. All together there are more than 400 individual templates to choose from. You might wonder why we are taking so much time discussing templates when we haven’t even started talking about the Wix editor yet. The reason is that once you pick your template, a process that can take as little as a few minutes, the bulk of your web building process is already done. 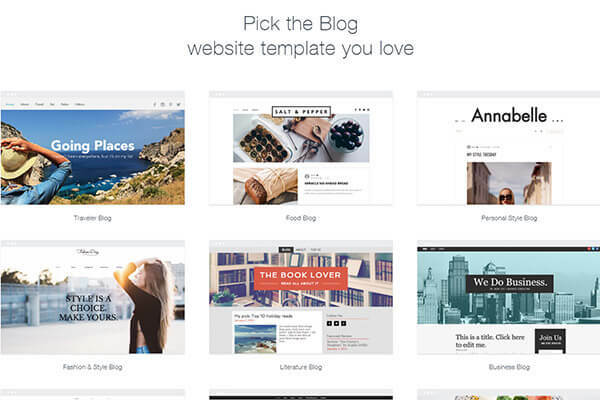 Your template already has all of the site’s design elements in place. 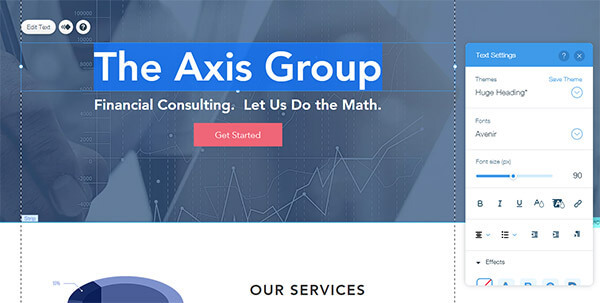 If you are so inclined, you can change them completely with the editor, but if you want a professional looking and highly functional website, this is not a necessity. All you have to do at this point with the editor is change out the text and images in the template with your own personalized content. On the top menu bar of the editor, you have the “Pages” drop down menu, to toggle between the different pages of your site to edit. You can change the navigation bar on the template to add, change or take away sections. Whichever command you select on the editor, Wix will suggest step-by-step instructions, or a video, to walk you through it, like the one below, for adding and editing text on your site. If you want to change anything on the template, such as the name of the site to your own name, simply click on it and a text editor will pop open allowing you to change the text, font, size, style, and so forth. No matter what you want to do, Wix’s wizard guides you through it. To sum up what we’ve learned so far, Wix’s editor allows you to personalize your template by changing text, images, colors, fonts and styles. You can also add photo galleries, a blog, if you haven’t chosen a blog as your site type, and even page transitions to change how your site behaves when you click from one page to the next. The Wix Booking manager is a suite of features included in the editor that is particularly useful for businesses. You can add a widget to let customers book services and set up a calendar to manage these bookings. Your staff can sync their Google calendars with the booking calendar as well. The Bookings Manager also allows you to send auto emails and reminders ahead of appointments and keep a customer database with personal info, email and notes stored all in one place. An additional feature of the editor is the ability to edit on both the mobile and desktop view of your site. This allows you to see how every change you are implementing looks before you save it. 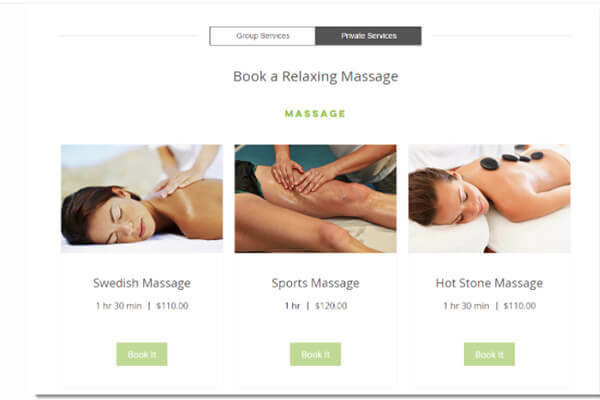 While the Wix Booking Manager is automatically installed, there are some 150 other apps offering varying extra functions for your website that you can install from Wix’s App Market. There is a direct icon to Wix’s apps directly on the drag-and-drop editor. 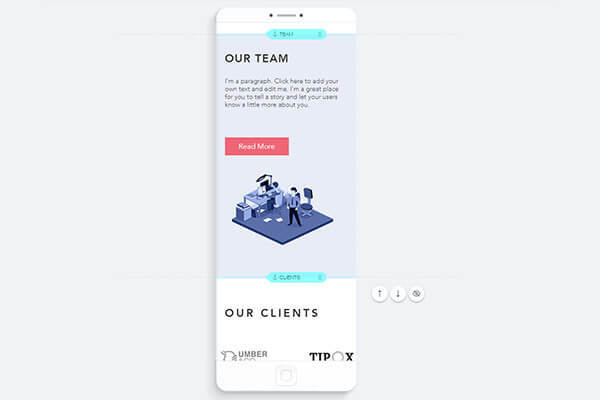 Apps include, a form builder for collecting subscribers, an app to allow users to leave comments, a Facebook “Like” pop-up app, and many others. Some apps are free and some cost money, while others have a free version which you can upgrade to a more advanced premium option. For the most part, making your site a specific kind of specialty site, such as a blog, portfolio site, business site, or Ecommerce site, is taken care of at the template selection phase of the process. 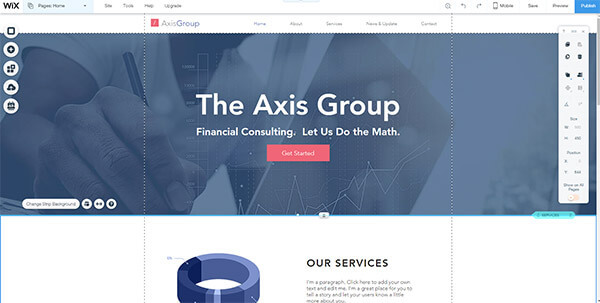 As we previously discussed, there are specific templates for blogs and businesses, and the same goes for portfolios and online stores. 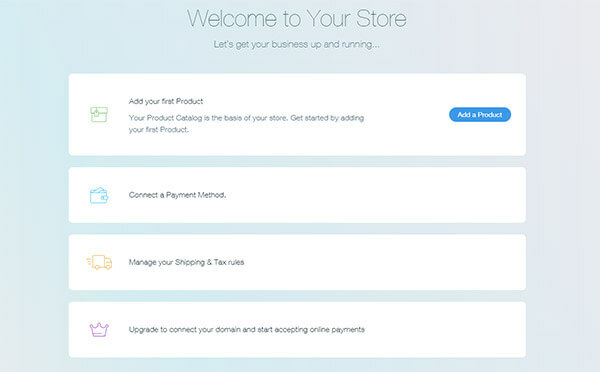 Wix Stores is an app that allows you to add products, manage inventory and accept payments. It is accessible directly from the drag-and-drop editor’s “Add” icon. In order to actually accept payments and make your online store live, you’ll have to upgrade to one of Wix’s paid plans . How Does Wix Compare to Other Drag-and-Drop editors? 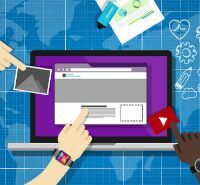 Now that we’ve seen how easy creating a website can be with Wix’s Drag-and-Drop editor, it begs the question: Are other DIY website builders just as easy. The answer is yes, however, it comes with a caveat. The other leading drag-and-drop editors, such as Sitebuilder.com, GoDaddy and Weebly are also relatively simple because they use the same model of choosing a template and customizing it with a drag-and-drop editor. 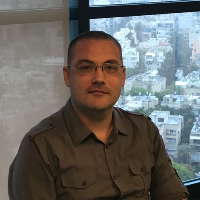 However, none of these sites guides the user through the process with explanations, step-by-step instructions and how-to videos like Wix does. 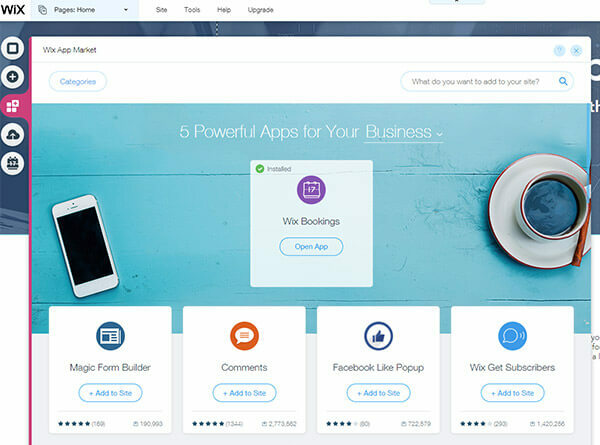 In addition, the Wix builder’s suite of features is far more advanced than any other DIY builder.